That is so cute! I love seeing the whole family! I love watching duck families like that. I love your pic! You just reminded me of a couple of things. 1. 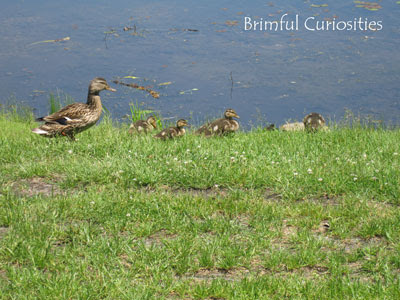 A reason why I love my husband- he stopped traffic once to let a mother duck and her babies cross the rode. Very sweet and I'm sure mommy is attentive.